Medieval Studies at Florida State University is a growing and dynamic area of teaching and research. Faculty in the Colleges Fine Arts, Arts & Sciences, and Communications contribute to the promotion of interdisciplinary research into the Middle Ages (c. 400-1500), teaching a wide variety of courses at both undergraduate and postgraduate levels, and supervising numerous masters’ and doctoral dissertations in all areas of the field. Subjects taught include Archaeology, Art and Architectural History (Western, Byzantine, and medieval Islamic), Book History, History (social, economic, political, ecclesiastical, intellectual and gender), Language and Literature (including Old and Middle English, Old Norse, Medieval Welsh, Middle Dutch, Classical and Medieval Latin, Church Slavic/˜Old Russian, Spanish, Italian, Insular French and French), Manuscript Studies (including British and Continental illumination), and Musicology. The Medieval Studies Organization (MSO) is an interdisciplinary group that promotes the study of antiquity and the Middle Ages in Europe and the eastern Mediterranean. Students, undergraduate and graduate, are welcome to join the organization by applying on FSU Nole Central. (Our organization name is in the process of being changed by RSO administration, so students might still find “MSA” listed on Nole Central.) MSO will continue to sponsor the Medieval Latin Reading Group begun last year – details above. And for more info and events, see the MSO Facebook page. Richard Emmerson (Art History) has written a new book, Apocalypse Illuminated: The Visual Exegesis of Revelation in Medieval Illustrated Manuscripts, published in 2017 by Pennsylvania State University Press. Based on more than forty years of research in medieval apocalypticism, it studies manuscripts from western Europe created over seven centuries, from ca. 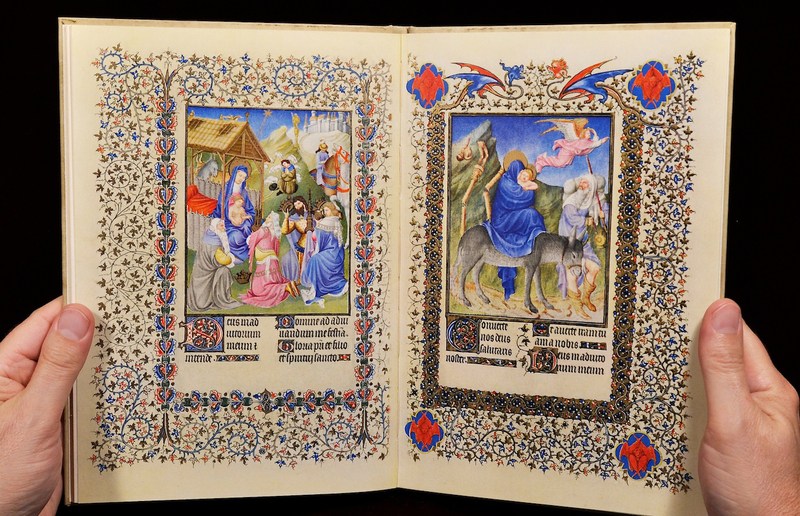 810 to 1490, and shows how artists developed their own visual exegesis of the last book of the Christian Bible. After introducing Revelation and discussing its significance to medieval culture, Emmerson focuses on twenty-five of the more than 170 manuscripts illustrating the Apocalypse to analyze how medieval illuminators adopted four distinct approaches to its visionary text, interpreting it in ecclesiological, prophetic, moral, and historical terms. The book includes 37 color and 63 black-and-white illustrations as well as a comprehensive bibliography. Emmerson has been invited to speak on the subject of the book at institutions in Alabama, New York, and Washington state. Jamie Fumo (English) has had a busy year of publications and conferences. Her most recent book, an edited collection of essays entitled Chaucer’s Book of the Duchess: Contexts and Interpretations, was published in the spring (Chaucer Studies XLV. Cambridge: D.S. Brewer, 2018). She also published two articles: “Medieval Dog Whisperers: The Poetics of Rehabilitation,” in Animal Languages in the Middle Ages: Representations of Interspecies Communication, ed. Alison Langdon (Palgrave Macmillan, 2018), 217-34; and “Exchange of Winnings or Mutual Beheading? : The Place of the Modern in Teaching the Medieval,” in The Once and Future Classroom: Teaching the Middle Ages, 14.2 (TEAMS Consortium for Teaching the Middle Ages, online pub. ), Spring 2018. This fall she will give papers at the Chaucer: Sound and Vision conference in Mobile, AL and the Southeastern Medieval Association conference in the Bahamas. She is presently serving as Associate Chair for Graduate Studies in the English Department. James A. Palmer (History) has signed a contract to produce the first full English translation of the fourteenth-century chronicle of the Anonimo romano, which will be published by Italica Press.